Looking for a window cleaner in the Twin Cities to shine up those windows on your St. Paul home? Well you have come to the right spot, we not only offer Window Washing but also Gutter Cleaning and Pressure Washing for your Saint Paul, MN home. Many homes in Saint Paul offer a challenge to homeowners looking to clean the windows themselves due to high windows and types of windows present. Many older homes are going to have French Panes and/or storm windows which for most are a nightmare to get clean. 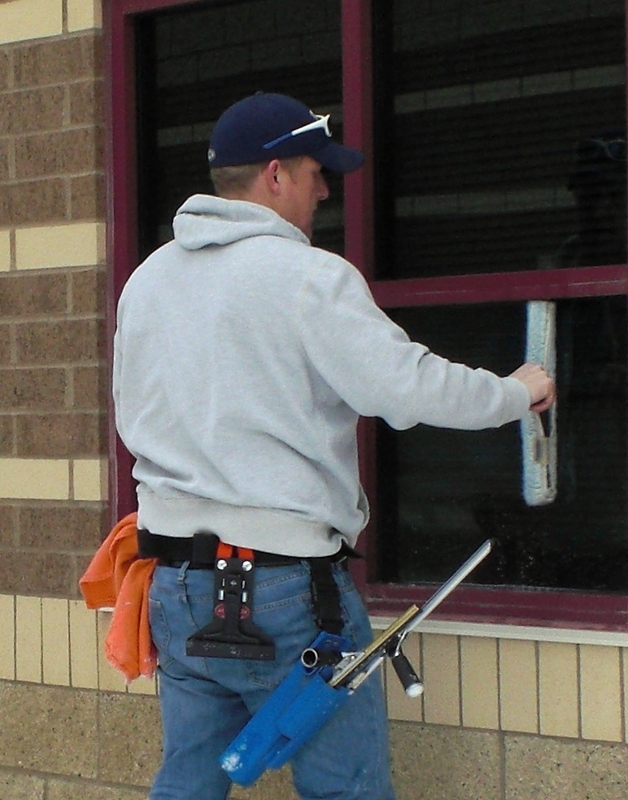 We have worked throughout the Twin Cities area for many years and have seen it all and have the window cleaning equipment to make your windows shine again! We look forward to hearing from you and we will come out and give you a free estimate this week! Window Washing – Let us come out and make your windows look great again so you can enjoy the view from your Saint Paul home once again. Gutter Cleaning – With the old growth trees that surround many St. Paul Homes gutter cleaning is important as the trees can easily clog the gutters. This results in water pooling in the gutter system which can potentially damage the gutters and water spilling over the gutters and falling straight to the ground and right up against your foundation. Pressure Washing – Let us clean years of age off your homes exterior with our powerful pressure washers. Not only do we clean entire homes, but also driveways, sidewalks, decks, patios, screened porches, and docks.